About CHEEMO - CHEEMO perogies. Try our delicious perogy recipes. “My father, Walter Makowecki, started Heritage Frozen Foods Ltd in 1972. My Dad’s goal was provide consumers with delicious, high quality perogies at a reasonable cost. Our family-owned company has not wavered from this goal from day one when we produced our first perogies in a production facility that was not much larger than a one-car garage. 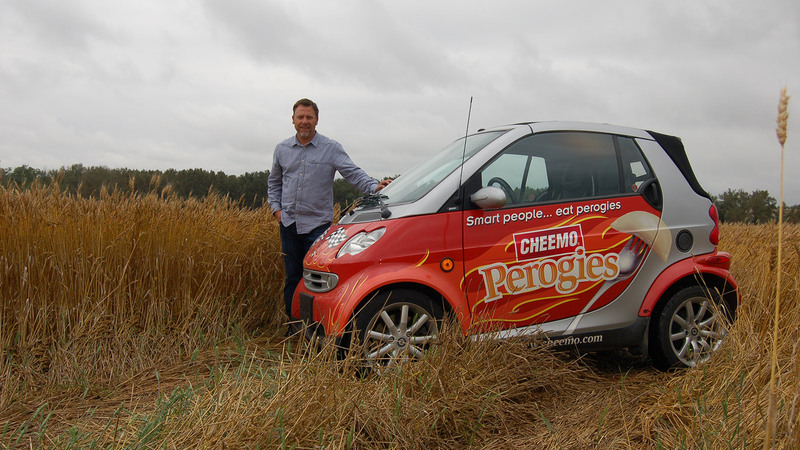 Today under our CHEEMO brand, Heritage Frozen Foods produces over three million delicious perogies per day in a state-of-the-art food processing facility, providing consumers with a variety of flavours to meet their discriminating tastes. Dad believed that a family of five should be able to enjoy a healthy nutritious meal for under $5.00 and that top quality perogies could be a good low-cost part of the meal. That is still the case today as you will see in the many tasty and economical recipes we provide on the website.